Diamonds are the world’s most desirable treasure – and the oldest, with origins over three billion years ago. South Africa’s contribution to that history changed the world diamond industry forever. This South African museum is simply a must see. 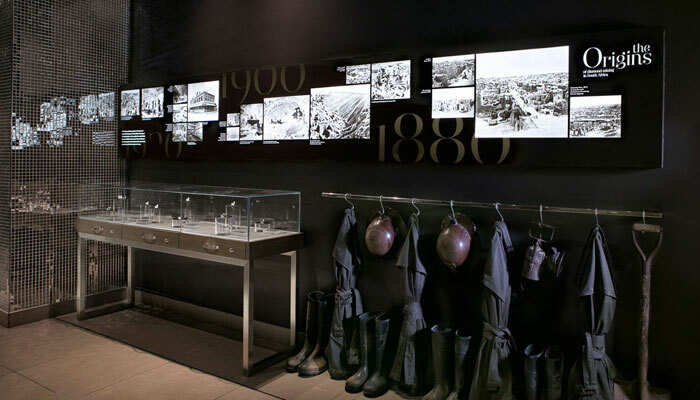 SA’s Cape Town Diamond Museum pays homage to this extraordinary story, with insight and originality, sophistication and style. Make sure to include the elegant, South African Diamond museum as part of your visit to the V&A Waterfront, Cape Town. No trip to the city is complete without a visit to the South African Diamond Museum in Cape Town, located at the Victoria & Alfred Waterfront. No trip to the city is complete without a visit here.